Is there a communication to the public within the meaning of Article 3(1) of the InfoSoc Directive by the operator of a website [The Pirate Bay, TPB], if no protected works are available on that website, but there is a system therein by means of which metadata on protected works is indexed and categorised for users, so that these can trace and upload and download the protected works? Does Article 8(3) of the InfoSoc Directive allow the issuing of an injunction against an ISP ordering it to block access for its users to an indexing site like The Pirate Bay? These were the important questions that the Dutch Supreme Court (Hoge Raad der Nederlanden) had referred to the Court of Justice of the European Union (CJEU) in Stichting Brein v Ziggo, C-610/15 (also known as The Pirate Bay case). In his Opinion in February last [commented here, here, and to some extent here] Advocate General (AG) Szpunar answered both questions in the affirmative. With particular regard to the first question the AG, while holding the view that the present case would be different from the (at the time) most immediate 'precedent' [formally, there is no system of precedent at the CJEU level], ie GS Media [Katposts here], also appeared to embrace a broader understanding of what amounts to an act of communication to the public. In particular, in line with the December 2016 Opinion of AG Campos Sánchez-Bordona [here] in Filmspeler, C-527/15 [subsequently confirmed by the CJEU: here and here], AG Szpunar construed Article 3(1) of the InfoSoc Directive in a broader way than what, for instance, both AG Wathelet and the CJEU had done in GS Media. In fact - similarly to AG Campos Sánchez-Bordona in Filmspeler - AG Szpunar moved away from a (strict) requirement of 'indispensable intervention' towards an idea of communication to the public as 'facilitation'. Not only those whose intervention to make copyright works available to the public is indispensable could be regarded as making an act of communication the public, but also those whose intervention merely facilitates the finding of such works. From this 'relaxation' of the notion of who can be regarded as making an act of communication to the public, the AG reached the conclusion that TPB operators would indeed facilitate the finding of copyright works unlawfully made available by third parties. Their acts would therefore fall within the scope of Article 3(1) of the InfoSoc Directive. From the point of view of a national court, TPB operators would be thus primarily liable for copyright infringement. This morning the CJEU held the making available and managing an online platform for sharing copyright-protected works may constitute an infringement of copyright. Even if the works in question are placed online by the users of the online sharing platform, the operators of that platform play an essential role in making those works available. “In today’s judgment, the Court holds that the making available and management of an online sharing platform must be considered to be an act of communication for the purposes of the directive. The Court first draws attention to its previous case-law from which it can be inferred that, as a rule, any act by which a user, with full knowledge of the relevant facts, provides its clients with access to protected works is liable to constitute an ‘act of communication’ for the purposes of the directive. In the present case it is common ground that copyright-protected works are, through ‘The Pirate Bay’, made available to the users of that platform in such a way that they may access those works from wherever and whenever they individually choose. Whilst it accepts that the works in question are placed online by the users, the Court highlights the fact that the operators of the platform play an essential role in making those works available. In that context, the Court notes that the operators of the platform index the torrent files so that the works to which those files refer can be easily located and downloaded by users. ‘The Pirate Bay’ also offers — in addition to a search engine — categories based on the type of the works, their genre or their popularity. Furthermore, the operators delete obsolete or faulty torrent files and actively filter some content. The Court also highlights that the protected works in question are in fact communicated to a public. 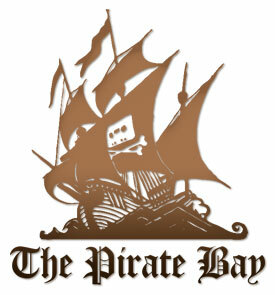 Indeed, a large number of Ziggo’s and XS4ALL’s subscribers have downloaded media files using ‘The Pirate Bay’. It is also clear from the observations submitted to the Court that the platform is used by a significant number of persons (reference is made on the online sharing platform to several tens of millions of users). Moreover, the operators of ‘The Pirate Bay’ have been informed that their platform provides access to copyright-protected works published without the authorisation of the rightholders. In addition, the same operators expressly display, on blogs and forums accessible on that platform, their intention of making protected works available to users, and encourage the latter to make copies of those works. In any event, it is clear from the Hoge Raad’s decision that the operators of ‘The Pirate Bay’ cannot be unaware that this platform provides access to works published without the consent of the rightholders. A more detailed analysis will be provided when the text of the judgment becomes available: stay tuned! I guess the next question is whether adhering to DMCA requests is sufficient to prevent being blocked? "Lastly, the making available and management of an online sharing platform, such as ‘The Pirate Bay’, is carried out with the purpose of obtaining a profit, it being clear from the observations submitted to the Court that that platform generates considerable advertising revenue"
So remove the adverts and Pirate Bay is fine? What if Pirate Bay still has adverts but can prove that it runs at a loss (revenue does not necessarily result in profit)? What if Pirate Bay sets itself up as a non-profit? The profit criterion is absolutely absurd.